The RocketPort ® uPCI SMPTE Octacable is discontinued and has been replaced with the RocketPort ® EXPRESS SMPTE Octacable (31330-4). This product page is being maintained for product and support information. The uPCI SMPTE Octacable works with the RocketPort uPCI SMPTE card and provides 8 expansion ports. The RocketPort uPCI SMPTE Octacable is quick to install and configure. The RocketPort uPCI SMPTE Octacable provides eight ports of serial connectivity when used with the RocketPort uPCI 8-Port SMPTE Card (99515-9). 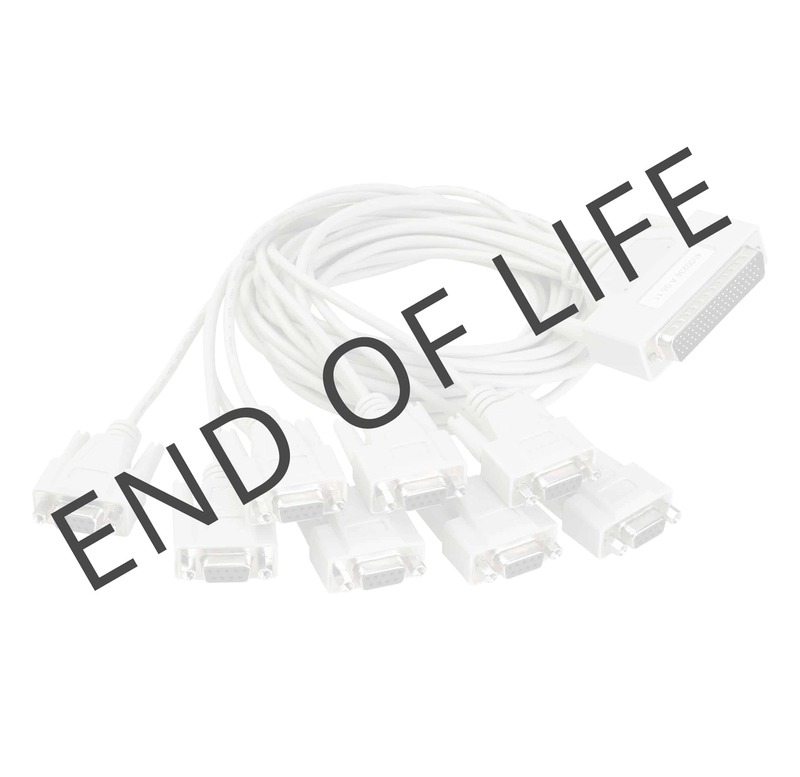 This SMPTE cable is designed to provide SMPTE expansion ports without the bulk or expense of a full interface product. The RocketPort uPCI SMPTE Octacable provides the equipment interface portion of an overall broadcast system, allowing interconnection of programmable and nonprogrammable control and accessory equipment. It allows rapid reconfiguration of a system utilizing up to eight pieces of equipment. In addition to easy configuration, the SMPTE Octacable can reach equipment up to 3.5 feet away from the host PC for optimum flexibility. AFor technical assistance, our U.S.-based technical support team is only a phone call away.